Cosco Products Centerfold Folding Table Just $38.88! Down From $52! You are here: Home / Great Deals / Amazon Deals / Cosco Products Centerfold Folding Table Just $38.88! Down From $52! Amazon has this Cosco Products Centerfold Folding Table for just $32.39 (Reg. $55)! These high-quality tables cater to any occasion. Dress them up for the holidays or take them outside for a barbecue. 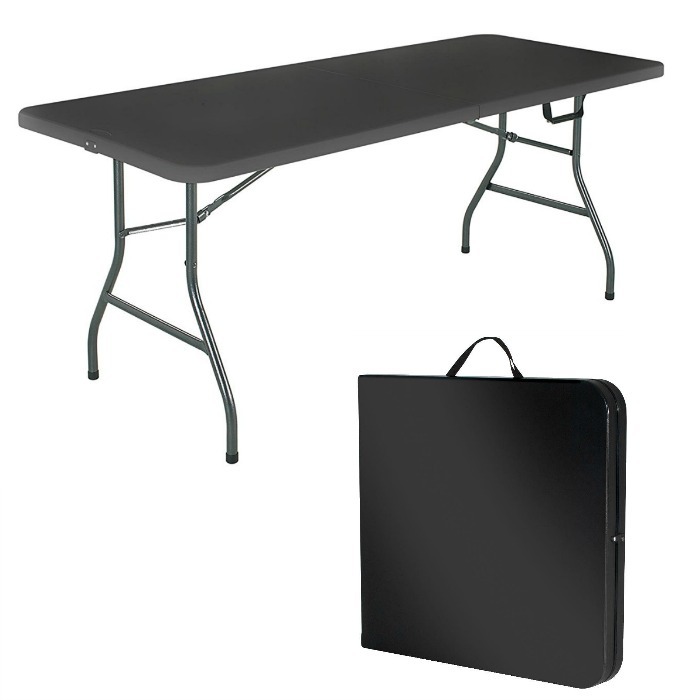 The 6′ Black Centerfold Blow Molded Table features a waterproof top that resist spills and weather. This versatile piece saves space and time with table legs that fold in and a center folding feature that makes transport and storage virtually effortless. Its rectangular length provides additional seating at both ends of table. Table has a heavy duty strong steel frame, steel legs and a low maintenance, sturdy easy to clean top.